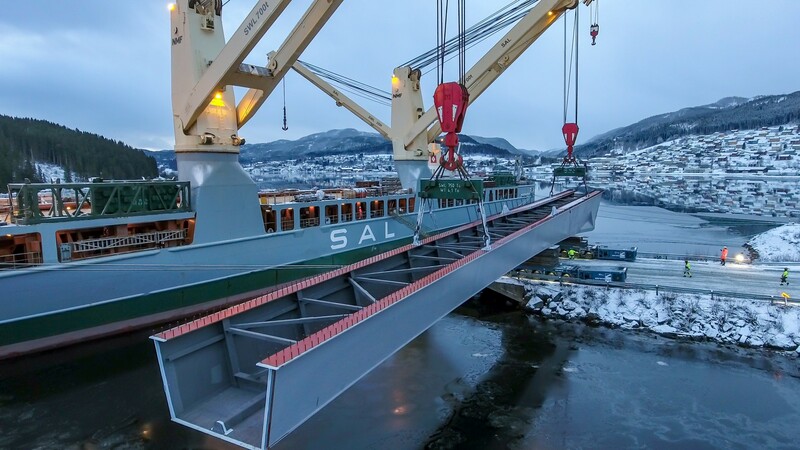 SAL Heavy Lift delivered an entire bridge from China to Norway where it will be used to connect the municipalities of Steinkjer and Malm, crossing the Beitstadfjorden. 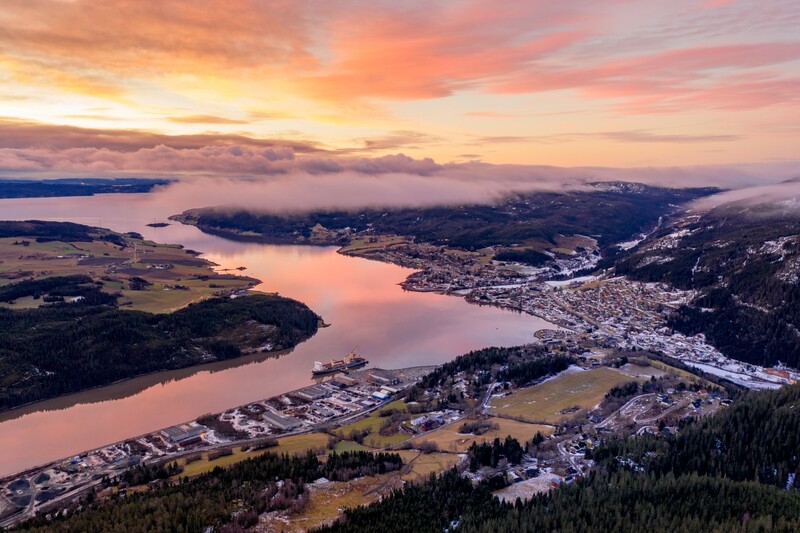 The bridge will make travelling between northern parts of Trøndelag county considerably safer and reduce travelling time significantly. 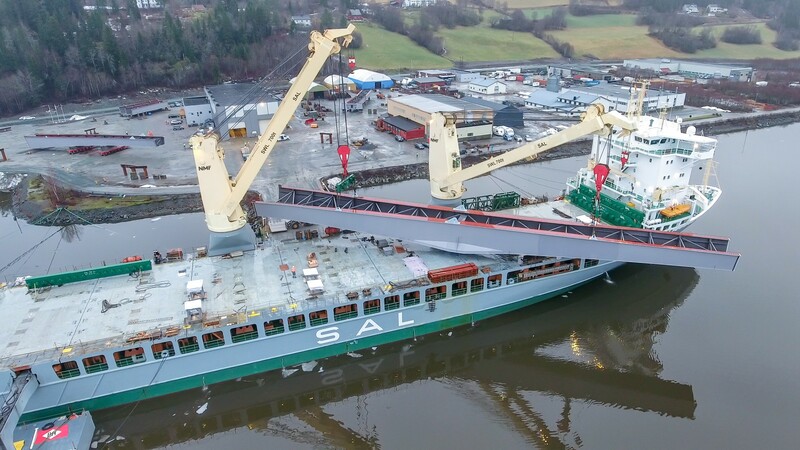 SAL’s heavy lift vessel MV Trina transported the bridge in twelve sections which together weigh 2,800 tons. When pieced together they will form a 580 meter long bridge called the Beitstadsundbrua. The twelve bridge sections all had different sizes and weights, with the heaviest unit weighing 426 tons and the longest unit measuring 75 meters in length, 5.9 meters in width and 5.8 meters in height. 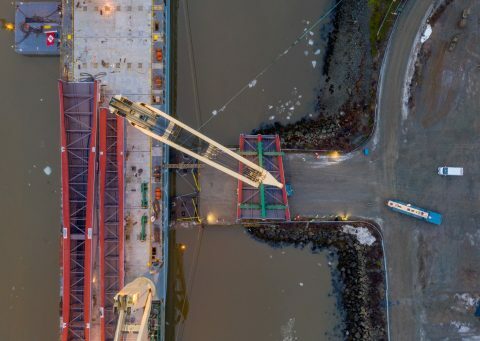 With a total of four single lifts and eight tandem lifts, SAL’s crew was able to stow all twelve bridge sections in two layers under deck, and another layer on deck of the vessel. building new and improved roads between the towns of Sprova, Malm and Dyrstad will be finished and open to public by the end of 2019, SAL informs.